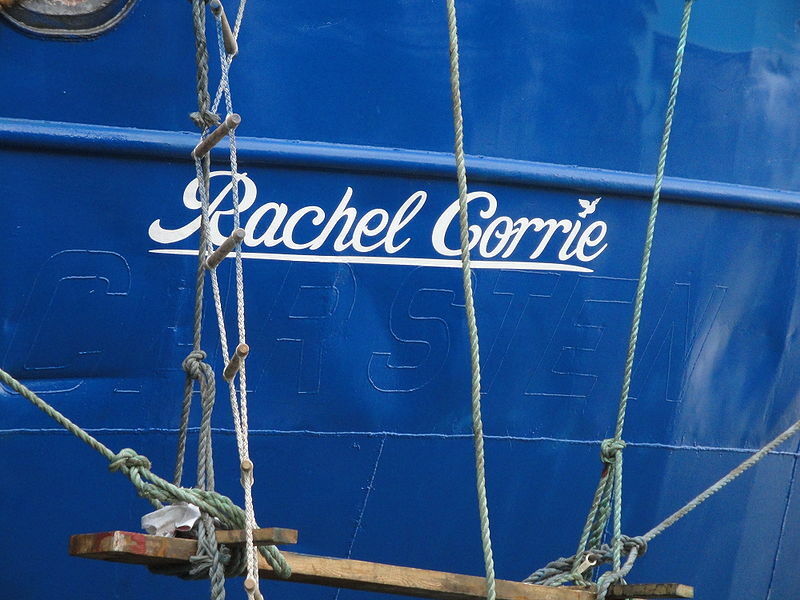 The MV Rachel Corrie, the last ship of the Freedom Flotilla to be seized by Israel. Image posted by Wikimedia Commons user Peter Kuiper under a Creative Commons 2.0 Attribution-Share Alike Generic Licence. The saga of the “Freedom Flotilla” attempting to deliver humanitarian aid to Gaza ended today with a tiny little whimper, as Israeli soldiers boarded the last ship in the Flotilla and took it to the port of Ashdod. The eleven Malaysian and Irish activists and nine crew members on board the MV Rachel Corrie offered no resistance, a decision that was almost guaranteed to preclude any sort of grand finale. I was intrigued to see Chang’s name because a couple of his books once caught my eye while I was browsing in a bookshop in the Kuala Lumpur International Airport. I know that one should never judge a book by its cover, but they gave the impression of being full of the wildest speculations about Zionist conspiracies, partly because of the company they kept – they were practically next to Henry Ford’s notorious The International Jew. In my opinion Chang’s involvement in the Flotilla underscores Terry Glavin’s point that some of the participants were motivated as much by hostility to Israel as sympathy for the Palestinians of Gaza. It’s easy, of course, to see how the two feelings could reinforce each other. Anyway, everyone aboard the Rachel Corrie is apparently going to be deported from Israel, the Malaysians going through Jordan because of a lack of direct diplomatic relations. As with the rest of the Flotilla, the Israelis are promising to deliver the aid on board the Rachel Corrie, although whether this extends to construction materials – badly needed, but normally excluded from Gaza because they might be used for bunkers and smuggling tunnels – is unclear as usual. The reports of Israeli military inefficiency, especially after the bungled attack on Hezbollah in 2006, are disconcerting, but the West must stop hedging and havering. Israel has the greatest claim to legitimacy of any country except the five official founders of the United Nations. It has made mistakes but has persisted nobly and has been shamefully persecuted by morally inferior regimes. Those who attack Israel must be responded to as they were by Ariel Sharon: two eyes for an eye and two teeth for one, until the persecution stops. I suspect that Black’s idea of “hedging and havering” is basically my idea of sensibly detached and balanced Canadian foreign policy. I don’t view Israel as having any more “legitimacy” than the average nation-state, and I certainly don’t view its enemies as morally inferior. I don’t blame Israel for attempting to maintain both its territorial and its demographic integrity, but equally I don’t blame the Palestinians for trying to take back some (or even all) of the land they lost in the 20th century. If Canada has a role in this intractable conflict, it’s certainly not to help Israel knock out Palestinian eyes and teeth, but rather to encourage both sides to leave some room for negotiation and compromise alongside the inevitable violence. Apart from diplomatic engagement, however, I think Canada should leave the Israelis and Palestinians to work things out – violently or otherwise – by themselves. It’s simply not our fight, and even the most extreme outcomes conceivable would have little effect on Canada’s security. Turkey’s seeming realignment with the Middle East is potentially more serious, and I actually agree with Conrad Black that Turkey should be expelled from NATO if this goes too far. This is an argument, perhaps, that Canada could begin to quietly advance. Turkey was never really part of the West, although it was sometimes a building block in European alliances against Russia. Now that any danger posed by Russia is much diminished, there is no need to treat Turkey by default as an honorary Western power.